I have to confess to every single one of you. I’ve done the nastiest thing a person could ever do in an MMO… I deleted a fully geared out 80. He was my first character. I had no clue what I was doing. 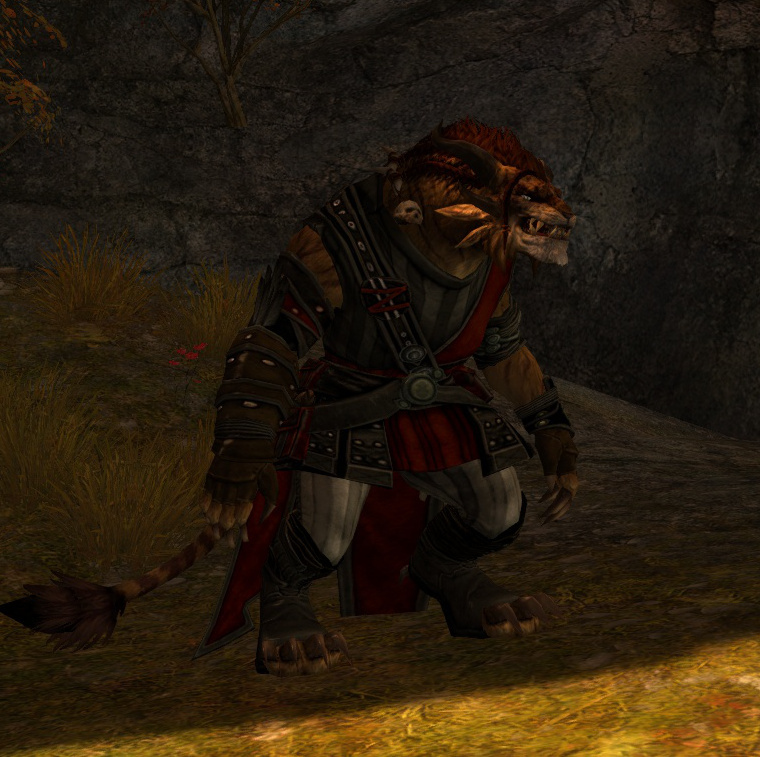 I rolled a Charr Thief, made him huge, and thought it was hilarious. I was just excited to see Tyria for the first time, and I did. He had full exotics. He was a 400 Jeweller. He had finished the (the Trahearne Story) Personal Story. Yet I deleted him. Heck, I still haven’t used the Pact Victory Token from completing the game! Wraxis was his name. So much time and effort was put into him. You’d think I’d miss him, but I don’t. I’m not sure if the Thief is a profession that doesn’t fit with me, or if I just had no clue what I was doing. Level 80 is always a game-changer, and I found no lasting love for the Thief; I found no lasting love for Wraxis Shadestorm. Maybe I didn’t have a deep enough connection for this character I created. I mean, that’s really important (as I mentioned in Something Old, Something New). Maybe my altoholism caught up with me, as I only had 5 slots at the time? Maybe I hit a point in my life where I just needed to do something drastic in order to cope? This was probably the most extreme thing I’ve ever done in a game. My Sylvari Elementalist, Lefraeyn Whitethorn? Naw. She’s a love who I even got a commission done of her by comic artist and illustrator, Ember Cescon. Asmund Leifsting, my Norn Guardian? Nope. He’s the center of all that I love in GW2 (ok, so my wife talked me into getting that Total Makeover Kit instead of giving him the Norn-sized boot). So what was it? I might not really know today when I look back, but whatever it was, I guess Wraxis just didn’t cut it. Have you ever done something crazy in a game that’s made everyone think you’re insane? I’d love to hear your experiences (and hopefully I’ll realize I’m not as insane as everyone thinks). This entry was posted in The Traveller of Tyria and tagged Alts, Character Creation, Deleting, Gaming, Guild Wars 2, GW2, MMO, Roleplaying, Tyria, Video Games. Bookmark the permalink. Well, I haven’t deleted level 80 characters yet, but I have deleted a lot of character in which I spent a fair amount of money on gear and dyes (fair to my standards. I am a very poor fella) I also seem to enjoy the process of doing the starting quests and events instead of focusing on end game stuff. Many of my deleted characters are simply characters that I ended up not liking as much as I wanted, so I can see myself doing what you did. It’s crazy. I mean, my wife totally understood. It took me a really long time to finally accept that there was no connection. What’s the point of having a toon if you really don’t care about them? I didn’t touch him or anything. Sure, I haven’t really done anything with Lefraeyn in a long time, but I love the personality that I envision her with! I’ll be back to playing her once more. I agree as well on the process of the starting quests. There’s something fresh about having a clean slate. I’ve honestly considered at times in games I get bored with, to start everything from scratch.